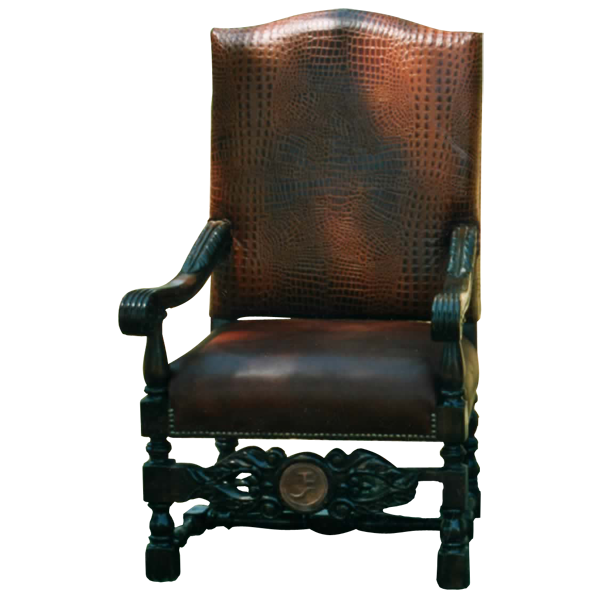 Elegance never goes out of fashion, and that is reflected by this beautifully designed and constructed Spanish colonial style handcrafted chair. 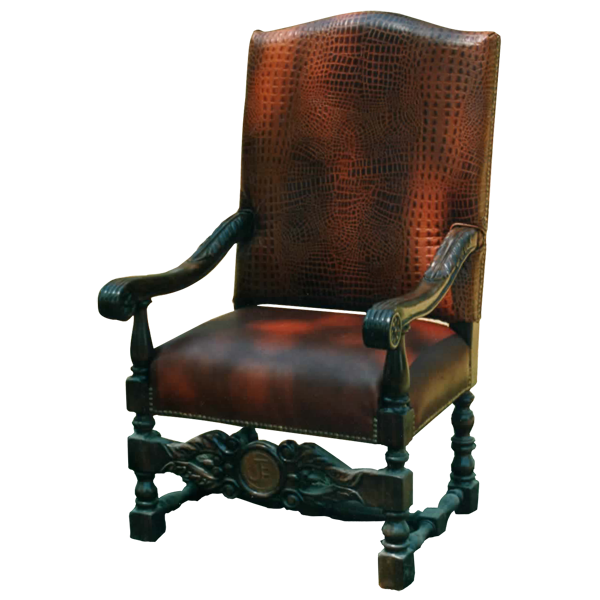 The chair has a semi-arched seat back, richly upholstered in luminous, earthen and black colored, embossed full grain leather. The seat is upholstered in lovely, earthen and black colored full grain leather. The armrest are beautifully curved and are hand carved with ornate scrolling and floral details, and with a reed design. The solid wood legs are beautifully hand turned and the front legs terminate in block feet. The legs are joined by an “H” wood turned stretcher. The front stretcher is highly decorated with ornate hand carvings, and with a circular inlaid hand forged iron medallion with engraved details. The upholstery is precision hand tacked to the entire wood frame by our skilled craftsmen. Both beautiful and durable, the chair is made with the best wood available. It is 100% customizable.